Approximately twelve tropical storms ravage the buildings of North Carolina each year. Preserving the beautiful scenery across the state is very important, especially for those who are lucky enough to live there. There are many different ways to prepare for a big storm. One of the most effective methods of securing your home or business, is by protecting windows and doors with storm shutters. Empire Construction and Development offers reliable storm shutters for your home and businesses during a storm and after a storm. While Empire Construction and Development’s manufacturing warehouse is in Florida, we are now offering a dealer/distributor program to businesses all across North Carolina! We are one of the largest, most technologically advanced manufacturers of storm panels, accordion shutters, roll-downs, Bahamas, and colonials available on the market today. Our North Carolina storm shutters distributor program offers many benefits for your business and your customers! Our durable storm protection products are perfect for windows and doors, but also for securing patios, balconies, terraces, and storefronts, which have large expanses. Our number goal is providing safety to your customers with maximum protection against storms, high-winds, and forcible entry. For your business, you will have the ability to increase your revenue stream and grow a larger customer base by simply adding our shutters and storm protection products to your business’s product line. Your customers will gain easy access to the best storm protection their money can buy. As a distributor, we will provide you with marketing materials, samples, and quotes on all our products. We want your customers to be 100% satisfied with their experience! We are flexible and willing to work with your business’s needs. We can ship order to your business or directly to the client anywhere in North Carolina! All our products are available in multiple colors and styles! Our shutters are custom-made to fit any size opening needed. Therefore, we can make our products fit any window, door frame or opening needed. No matter what size! Becoming a distributor of Empire Construction and Development’s state-of-the-art shutters is a profitable way to grow your business and for your customers to protect those they love during extreme weather! 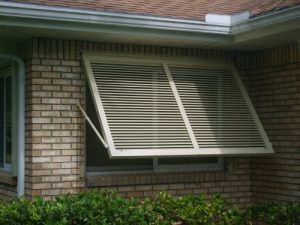 We provide the safest hurricane shutters on the market today. We have worked hard to build a reputation as a reliable manufacturer of storm protection products within the past three decades and we want to extend our success to our distributors and contractors. Our amazing reputation will follow us to your business as we work together to provide your North Carolina customers with quality storm protection products at an affordable price! Along with our customers, you can feel safe knowing that the people who are most important to you are being provided the absolute safest products available! North Carolina residents must stay diligent to the ongoing threat of intense weather patterns and hurricanes. Help Empire Construction and Development keep people and their homes safe even during the most threatening storms. If you would like to become a distributor of hurricane shutters from Empire Construction and Development, call or sign up today! Your business can do better and you can increase your revenue stream and profits. How? Start offering your customers options for storm protection. Storm shutters are a reliable way to protect homes and businesses from the dangers of hurricanes, seasonal storms and vandalism. 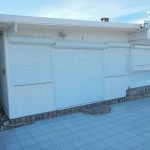 Adding the best storm shutters available from Empire Construction & Development to your product line will allow you to sell top-quality storm protection products to your customers and generate more leads and overall sales? Storm protection is needed in coastal cities, barrier island towns, and tropical destinations. While some buildings may have proper window and door protection, there are still many homes and businesses without hurricane shutters. If you recognize a need for hurricane and tropical storm protection in your area, take action and become a shutter distributor for Empire Construction & Development, leaders in storm protection. Make more money by providing a selection of custom-made storm shutters to your customers. At Empire Construction & Development, we manufacture hurricane shutters and security shutters to order. Customers can choose from a selection of shutter colors, styles, and features. With the measurements you provide us as a shutter dealer/distributor, we will build the shutters to fit your customers’ windows, doors, patios, and more. Our strong shutters are easy to install and easy to use — our customers love them, and yours will too! Selling storm shutters from Empire Construction & Development as a shutter distributor will let you provide customers in your area with hurricane protection, tropical storm protection, winter storm protection, protection from hail and wind storms, and window and door security. Preventing property damage and loss is a great reason for your customers to invest in storm shutters for their home or business. And we will handle all of the manufacturing, packaging, and shipping. If you’re looking for a way to boost your income and expand your product line this year, start selling our storm protection products. 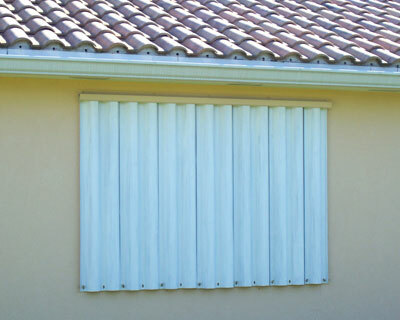 Storm shutters are useful and are a valuable addition to any home or commercial building. Call: 888-474-3555 for more information on becoming a storm shutter dealer/distributor. Open up a path for more revenue when you become a shutter distributor for Empire Construction & Development. Do you want to expand your product line and grow your business? You may be waiting for the right time, the right products, and the right way to increase your revenue. Don’t wait any longer – the best time to start growing your business is right now, and the best way to expand your line of residential and commercial building products is to add our shutters to your existing product line. Partnering with Empire Construction & Development as a shutter dealer or distributor is an easy and cost-effective way to begin building up your business and profits. 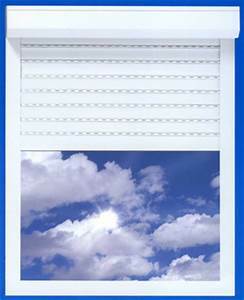 *Accordion Shutters – Our best-seller. 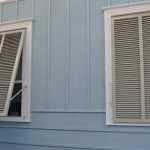 These strong, affordable shutters can be used on most any window, door, or other opening. 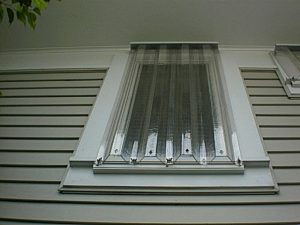 Accordion shutters provide dependable storm protection and excellent security. *Roll-Down Shutters – These shutters are a favorite among homeowners and business owners who want high-end window and door protection. Our rolling shutters are custom built and customers can choose from a variety of motor options or have manually-operated shutters made. *Bahama Shutters – With a distinctive tropical look, and available in a wide variety of colors, our Bahama shutters can enhance the look of a building while providing window protection. Our Bahama shutters are adjustable, and made for storm protection and security. 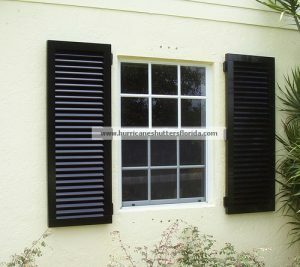 *Colonial Shutters – These shutters are known for their look and their strength. Reminiscent of the Old South, but with all of the modern storm protection features required today, Colonial shutters provide reliable window protection. *Storm Panels – The most cost-effective way to protect commercial and residential buildings from hurricanes and tropical storms, and still widely used throughout the US. Our storm panels are designed to be significantly stronger than flat panels, and we offer clear polycarbonate panels too. And more. Read more about becoming a storm and security shutter dealer/distributor here. If your business handles shutter installation, you may be interested in joining our installer network. Contractors, handymen, carpenters, and other certified professionals love our easy-to-install hurricane and security shutters. If you want to get the word out about our storm and security shutters, you can join our referral program. Referring your neighbors, friends, and family to Empire Construction & Development can be profitable. Referring your customers to us can add another revenue stream to your business. For more information about joining our shutter dealer/distributor program, call: 888-474-3555. Start offering shutters from Empire Construction & Development as a shutter dealer/distributor and see your business grow. Are you concerned about the increasing frequency and strength of Atlantic Ocean basin hurricanes year after year due to climate change? Do you live in coastal North Carolina, an area that is prone to severe impacts by hurricanes? Have you been thinking about taking steps to protect the long-term investment of your real estate and personal property by lowering risk and increasing value? If so, you might just be in the market for hurricane shutters from Empire Construction and Development Corporation! Are you ready for the hard truth? According to the National Oceanic and Atmospheric Administration (NOAA), 413 known subtropical and/or tropical cyclones have impacted North Carolina, ranking it the fourth most impacted state in the United States, overall. Historically, the hurricanes that have impacted North Carolina have resulted in over $11 billion dollars in damage (USD valuation from 2008). With that North Carolina hurricane data in mind, it becomes apparent that hurricane shutters from Empire Construction and Development Corporation are worth the long-term investment, indeed! We custom design and manufacture the right hurricane shutters to protect any of your windows and doors, regardless of size or shape. While all of this may seem rather scary and overwhelming, not to worry, because you’re in luck! We will provide you with the highest level of hurricane security available at the most affordable price. Give yourself the peace of mind you deserve and seek the right hurricane shutters for you and your home in coastal North Carolina from Empire Construction and Development Corporation. If you have questions regarding the installation of hurricane shutters in coastal North Carolina, we offer the flexibility and resources to match what best suits you. We’re here to serve you – please don’t hesitate to reach out to us, toll-free, at (888) 474 – 3555 for help with hurricane shutters for coastal North Carolina. Your property protection, overall safety, and quality of life may just depend on it. A new year may symbolize change and reinvention, it may be the time for new goals and follow-through on some older ones, but a new year also means a new hurricane season is closer than you think. Coastal South Carolina may see a hurricane strike this year, and it’s never too early to start preparing your home or other building for seasonal storms. *Accordion Shutters in South Carolina – Find sturdy aluminum accordion shutters in coastal Myrtle Beach, Beaufort, and Hilton Head online from Empire Construction & Development. 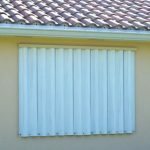 These shutters fold at the sides of each window or door when not in use, and can be pulled shut quickly and easily when needed. 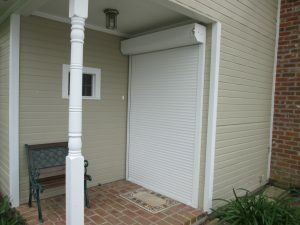 Affordable accordion shutters from Empire Construction & Development also make great security shutters and can be used to secure your building overnight or when you go out of town. *Rolling Shutters in South Carolina – We custom build top-quality rolling shutters for our customers throughout the country. You can buy manual rolling shutters and motorized roll-down shutters in South Carolina from Empire Construction & Development. Ask about upgrading to a Hertz motor for easy, remote-control operation of your storm shutters. Preparing your home for a storm is easier than ever with aluminum roll-down shutters from Empire Construction & Development. *Colonial Shutters in South Carolina – If you want a shutter that protects your windows from wind and debris during a storm, and adds to the charm of your home, our Colonial shutters are a great choice. These shutters are built to provide dependable storm protection and add to the look of your home or commercial building in coastal South Carolina. Our Colonial shutters are available in a wide array of custom colors, and are made to fit each of your windows. *Bahama Shutters in South Carolina – Add an island look to your home and get superior storm protection when you buy Bahama shutters from Empire Construction & Development. 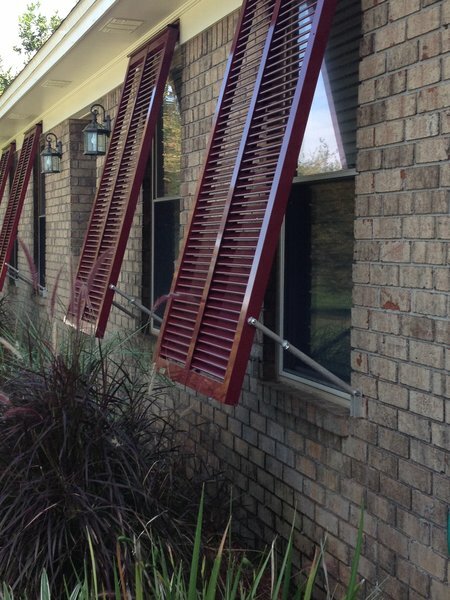 These shutters open at a 45-degree angle and can be adjusted to open at a 60-degree angle. Bahama Shutters also add shade to your home, and can reduce your home’s indoor temperature in the warmer months. 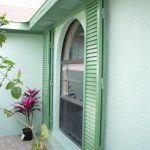 Our Bahama shutters are available in many custom colors. 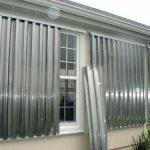 Along with these shutters, we also sell strong aluminum storm panels and clear polycarbonate storm panels at HurricaneShuttersFlorida.com. Choose the best storm shutter protection for your home or commercial building, and contact us for a free quote on your shutter order. Call 888-474-3555 to speak to our experienced storm protection team about your hurricane shutter order or to learn about this month’s hurricane shutter deals. Make sure your home in South Carolina is protected from hurricanes and others storms this year with affordable hurricane shutters from Empire Construction & Development. Residents of Wilmington and tourists who come to this coastal city in North Carolina love its charm, its rich history, and its proximity to several beautiful beaches. You can find fun activities and events to keep you busy in Wilmington year-round. But another thing you may want to consider year-round in Wilmington is window protection. Hurricanes and tropical storms are a threat to your home or commercial building’s safety during hurricane season, and other season storms and bad weather conditions can be problematic throughout the rest of the year. One solution for keeping your building safe from damage in Wilmington, North Carolina is to install strong Bahama Shutters made by Empire Construction & Development on your windows. At Empire Construction & Development, we manufacture custom storm shutters for windows, doors, and other areas on your house or commercial building in Wilmington, North Carolina. Since coastal North Carolina is an area of the US that is prone to hurricane strikes, homeowners and business owners in Wilmington need to take the proper precautions in protecting their buildings from storm damage. Our Bahama hurricane shutters are built to meet the most stringent wind codes in the country, and are manufactured from heavy-duty extruded aluminum for durable and reliable storm protection every hurricane season in Wilmington. Bahama shutters from Empire Construction & Development are permanently installed on windows and open at a 45-degree angle. A built-in support arm on each shutter allows you to open your Bahama Shutter to a 60-degree angle. 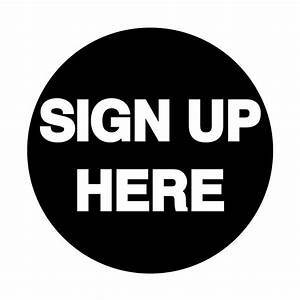 You can use them on several front porch windows, or on all of the windows on your home, hotel, restaurant, retail store or office building in Wilmington. Our Bahama Shutters are useful all year in Wilmington. Bahama shutters from Empire Construction & Development keep your home cool and add shade during the hot summer months. You can open your windows and Bahama shutters during the fall and spring to let the breeze in. And you can use your aluminum Bahama shutters to cover your windows during the cold winter months in Wilmington, keeping the inside of your building warmer. Bahama shutters can be used to protect against winter storms in North Carolina too. Bahama hurricane shutters from Empire Construction & Development are available in a wide variety of Bahama shutter colors sure to look good on any home or other building in Wilmington. To get more information on buying Bahama shutters in Wilmington, North Carolina, including shutter prices and shipping costs, measuring questions, and more, contact us today. Call: 888-474-3555 to speak to a member of our knowledgeable team. Get an early start on your storm preparedness for next year’s hurricane season in Wilmington, North Carolina and order Bahama shutters from Empire Construction & Development.